A single vineyard wine from Sweetwater Ridge. This vineyard always produces wine with distinctive ‘floral’ violet and potpourri aromatics amongst its red and blue fruited frame. Medium bodied, smooth and seamless. From a 0.8Ha block, adjacent to the old vine Kiss Shiraz. 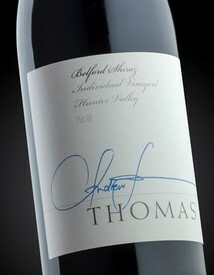 A contemporary Hunter Shiraz with vibrant red & blue fruits and a juicy, succulent palate. An awesome barrel selection from Sweetwater, Kiss and Dam Block Shiraz. Satiny texture and blue fruited, but with an underlying grunt of concentrated fruit and 'punchy' premium French oak. Our flagship Shiraz is a modern benchmark for Hunter Valley Shiraz. Each vintage we bottle exactly 100 individually numbered MAGNUMS. A wine for the serious collector. A new single vineyard wine to our range from the steep slope of the historic "Cote D'or" vineyard in Central Pokolbin. Perfectly medium bodied with red pastille, turkish delight and spicy notes.